These are really easy, and make a great gift. They fit any standard DSLR camera strap, (Canon/Nikon) my strap is about 2″ wide. 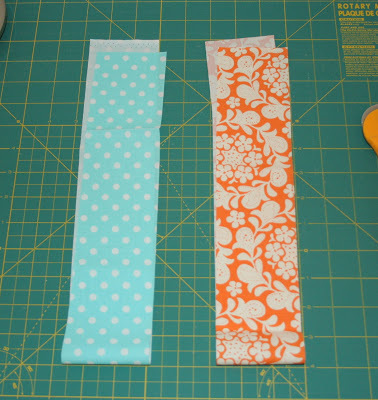 I made mine two sided, but if you wanted just one fabric like the one above, just make one strip about 5.5″ wide. 1. Cut two strips 2.75″ by 27″ long. 2. 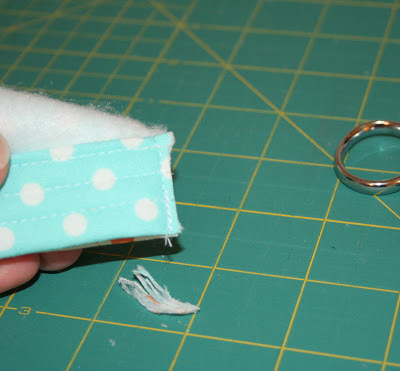 Sew the strips right sides together, then press seam open. 3. I made mine padded with Pellon fusible light fleece interfacing. You need about 5.5″by 27″. This is optional of course, I like the feel of the padding, but you can skip this step if you don’t mind the hard strap. Iron on the fusible interfacing according to directions, and trim excess. 4. 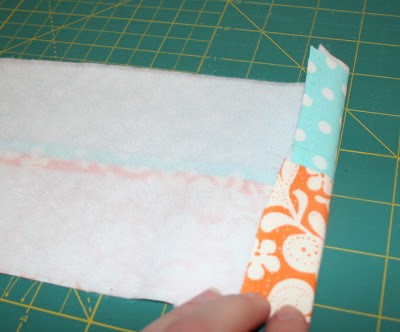 Fold one end in about one inch, and then again over one inch to hide the seam and make a clean finish. 5. Sew edge down for a clean finish, I sewed three lines, 1/4″ apart so the ends will be more sturdy and it looks more polished. 6. Do the same thing on the other end, the finished strap after the ends are finished will be about 23″ long. 7. 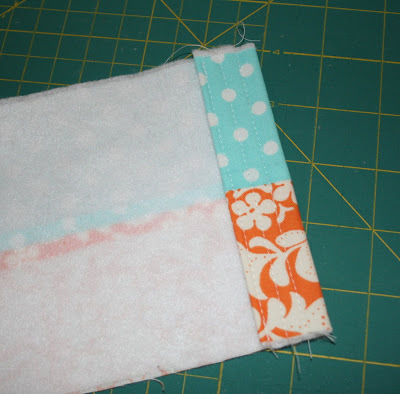 Sew right sides together with a 1/4″ seam allowance. If you think the finished cover will be too big for your strap, you can make a wider seam allowance to make the cover thinner. Keep in mind you want the cover about half an inch or so bigger than the strap, so its easy to slide on and off. 8. trim the inside edge seam allowance, it makes more room to slide the strap in and out. 9. Turn inside out (the hardest part) and iron and your done! Slide in your camera strap and viola! I have been wanting one of these too. I am so going to make one now… this is a great tutorial. Oh and nice to meet you. I am in the pieced together group. I am so excited. I love all of your stuff and I got some cool ideas too. YAH! I was wanting to tackle one of these anyway, now it’s even easier to do! The hard part–what fabric(s) to choose…..
so THAT’S how you do it!!! i’ll keep this in mind when we go get our new camera. Thanks for posting the steps. I have wanted to do this for a while. you have made it move to the top of my to do list. Thanks so much for these fab instructions. Off to the fabric store asap! thank you very much! I hope to make mine this weekend! My husband is a med student too (he is a 2nd year)! Going to put you in my reader, love your quilts. I will be making one this next week! I have been looking for one that I liked…. have seen some that were really complicated and didn’t turn out clean. Sorry that one didn’t leave who I was for ya. Thanks again. Thanks so much for this great tutorial. I’ve been wanting to make one of these for awhile but just didn’t know exactly how. I’m off to the fabric store…. going to make one for myself and some for gifts. Why didn’t I think of that … better than making a whole new strap, which I would never get around too, or buying one which I would never do, I would say I can do that for so much less … thanks! Thanks so much for this great tutorial! I found it on your blog a while back (maybe through One Pretty Thing??) and tonight I finally sat down to put one together. It took me a while to find some fabrics that I liked. 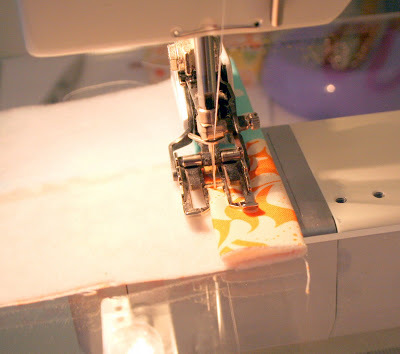 Thanks again, and I love your blog–I'm so NOT a sewer/quilter. . .just a wannabe! this is such a great tutorial!! thank you so much! Great tutorial! I just finished mine and it was super easy. Thanks Allison! OH MY GOSH! Just what I need!!! Wow, thanks so much for the very detailed tutorial. I like your blog too. I just found it from Google. Thanks so much. Excellent instructions! I made 4 tonight – assembly style. These are going to be great gifts. I plan on adding a detachable pocket for the lens cap and either a yo-yo flower or a rolled rose accent. Thanks! This is awesome! Thank you for the great instructions. I made my shopping list and I'm going to head into town tomorrow. I can't wait! I've seen these, but I know I can sew my own. Now, thanks to you I really can! I'm excited to check out the rest of your blog. Wonderful tutorial! I don't sew and I successfully made one! Thank you so much. I do have to say, I should have added an inch or two for my Canon strap. Can't wait to do it again. Love this! Just made one and I'm showing it off to my husband at every turn. I added a step. Check it out at http://www.hipposanddinosaurs.blogspot.com. Thanks for the fabulous and EASY tute! I did a search for a how-to and it took me to your blog. Thanks for this…This is just how I wanted to make it…two sided and padded! I totally lack confidence when it comes to sewing but really wanted to make one of these. Your tutorial was excellent, and I surprised myself with how cute my strap turned out! (I wasn't brave enough to pad it yet… maybe next time. ;) I'm giving away my first one tomorrow on my blog, so I'll be making another one for myself. Thank you so much for taking the time to do this! I've finally made one! A black and white harlequin block with a green and white damask did the job. My sweet husband took pity on me and finished turning it right-side-out for me. What a guy! Thanks for the tutorial! It was fun! Thanks for such an easy to follow tutorial! Now I just want to keep making them! Thanks! thank you for sharing! i can't wait to make one! thank you, i have only been sewing a couple of months and i made 5 of these in the last couple of days. i have no idea why i have made so many. maybe i will do a give away or maybe use them for gifts. i am so excited. Just discovered your tutorial and it's the best I've found for a customized camera strap. I've seen these for sale for wayyy too much money and figured it's something I could easily make for myself. Thanks for making it even easier on me! Thanks!! These are great! I just made one for my Nikon. Lot's of compliments!! Super cute! Thanks again for sharing! 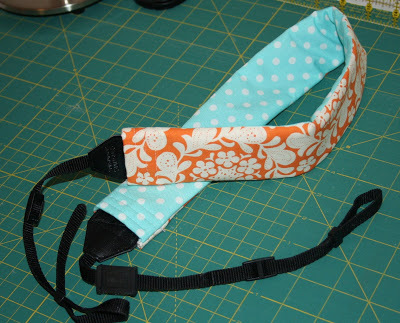 I just finished a camera strap cover using your tutorial. I think that I'll make one for a friend too! Thanks so much! thanks for sharing this tutorial! 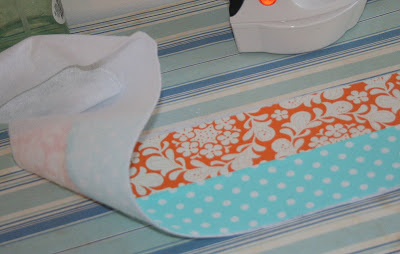 I used it as a 'recipe' for making a couple of new covers and it worked really well! My daughter wants one of these and yiou have made it easy to say yes. Thank you. Thanks. I promised my daughter one for her b-day. Thank you so much for this. I just made my very own camera strap and it wasn't hard at all. Thanks again!